President of the bet ha-midrash at Kairwan toward the end of the tenth century. He was born probably in Italy. According to Abraham ibn Daud, he was one of the four scholars who were captured by Ibn Rumaḥis, an Arab admiral, while voyaging from Bari to Sebaste to collect money "for the dowries of poor brides." 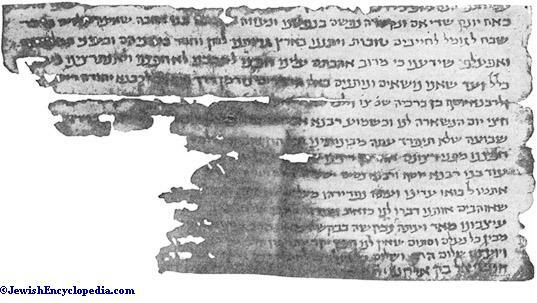 Ḥushiel was sold as a slave in North Africa, and on being ransomed went to Kairwan, an ancient seat of Talmudical scholarship (Harkavy, "Teshubot ha-Ge'onim," Nos. 199, 210). There his Talmudical knowledge gained for him the position of president of the bet ha-midrash (Neubauer, "M. J. C." i. 67 et seq. )—probably after the death of Jacob ben Nissim. But an autograph letter from Ḥushiel (discovered and published by S. Schechter, "J. Q. R." xi. 643) addressed to Shemariah ben Elhanan, chief rabbi of Cairo (supposed by Ibn Daud to have been captured with Ḥushiel), tends to show that Ḥushiel merely went to visit his friends in Mohammedan countries, and was retained by the community of Kairwan. There is considerable difference of opinion in regard to Ḥushiel's nativity. 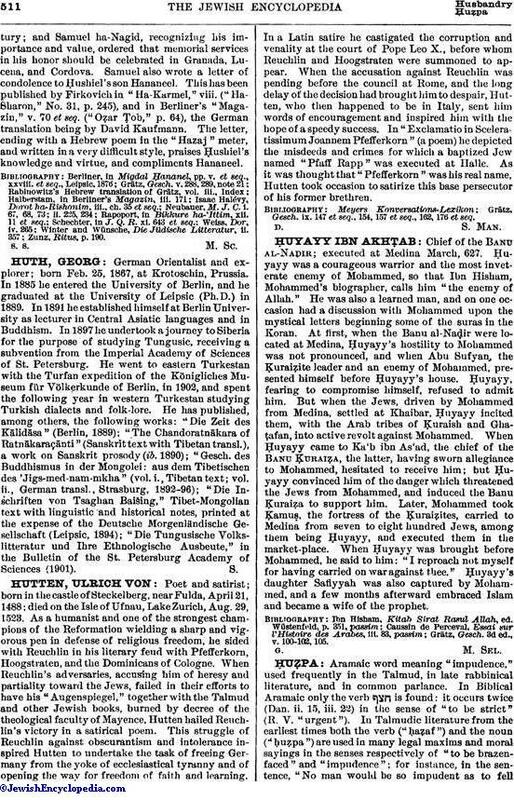 Grätz, Harkavy, and D. Kaufmann claim that he, with the other three scholars, came from Babylonia; while Rapoport, Weiss, and Isaac Halévy give Italy as his birth-place. 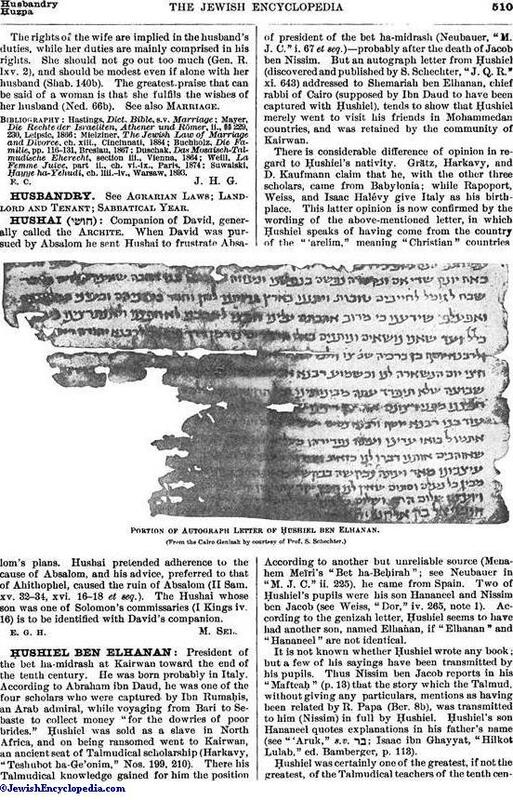 This latter opinion is now confirmed by the wording of the above-mentioned letter, in which Ḥushiel speaks of having come from the country of the "'arelim," meaning "Christian" countries. According to another but unreliable source (Menahem Meïri's "Bet ha-Beḥirha"; see Neubauer in "M. J. C." ii. 225), he came from Spain. Two of Ḥushiel's pupils were his son Hananeel and Nissim ben Jacob (see Weiss, "Dor," iv. 265, note 1). According to the genizah letter, Ḥushiel seems to have had another son, named Elhanan, if "Elhanan" and "Hananeel" are not identical. Portion of Autograph Letter of Ḥushiel ben Elhanan. It is not known whether Ḥushiel wrote any book; but a few of his sayings have been transmitted by his pupils. Thus Nissim ben Jacob reports in his "Mafteaḥ" (p. 13) that the story which the Talmud, without giving any particulars, mentions as having been related by R. Papa (Ber. 8b), was transmitted to him (Nissim) in full by Ḥushiel. Ḥushiel's son Hananeel quotes explanations in his father's name (see "'Aruk," s.v. ; Isaac ibn Ghayyat, "Hilkot Lulab," ed. Bamberger, p. 113). Ḥushiel was certainly one of the greatest, if not the greatest, of the Talmudical teachers of the tenth century;and Samuel ha-Nagid, recognizing his importance and value, ordered that memorial services in his honor should be celebrated in Granada, Lucena, and Cordova. Samuel also wrote a letter of condolence to Ḥushiel's son Hananeel. This has been published by Firkovich in "Ha-Karmel," viii. ("Ha-Sharon," No. 31, p. 245), and in Berliner's "Magazin," v. 70 et seq. ("Oẓar Ṭob," p. 64), the German translation being by David Kaufmann. The letter, ending with a Hebrew poem in the "Hazaj" meter, and written in a very difficult style, praises Ḥushiel's knowledge and virtue, and compliments Hananeel.